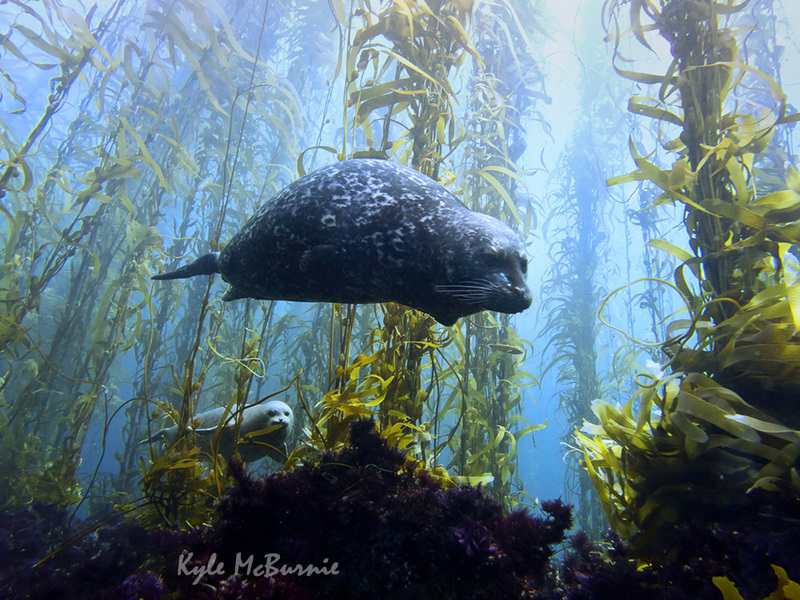 Kyle says: This photo was taken at Cortes Bank, an amazing offshore sea mount 100 miles (160 km) west of San Diego. Because of its remoteness, few divers make it out there and as a result the marine life is both shy and inquisitive about people in the water. This pair of harbor seals interacted with me for about 40 minutes, and another photo in the set landed in National Geographic.